Having pushed the Parish Council really hard to start a neighbourhood plan for Stradbroke it is particularly sad to see it failing before it has even started properly. As one of the facilitators at the first public meeting I heard person after person saying that what they wanted in Stradbroke were smaller scale developments done more slowly over time. I heard people saying they wanted to ensure the village kept is character and did not become like a town or a suburb. The Grove Farm proposal is everything people said they didn't want. A large scale development done all at once that will start to infill housing between Westhall and the centre of the village in a sprawling suburban way. Sadly the very people who have taken the neighbourhood planning process over and ensured myself and other dissenting voices are no longer involved in it are heavily involved in these plans. At the last parish council meeting the Vice-Chairman Oliver Last who is also the chair of planning and leader of the neighbourhood planning group had clearly been briefed by Durrants the land agents about the plans. Council Chair Nick Stones also knew about them as did District councillor Stewart Gemill who incredibly got out a huge map of the proposed development and showed it to one councillor before the clerk insisted it was shown to all members of the council. 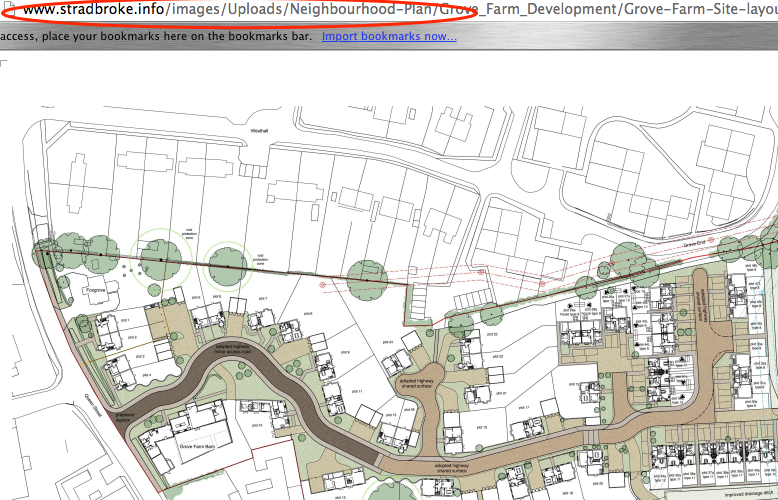 The Grove Farm plans were then published on the Council's own website in the neighbourhood planning section as if they were part of the neighbourhood plan rather than a commercial proposal from landowners. All of this before any of the neighbourhood planning consultation has even started. So what is the point of the neighbourhood plan then? 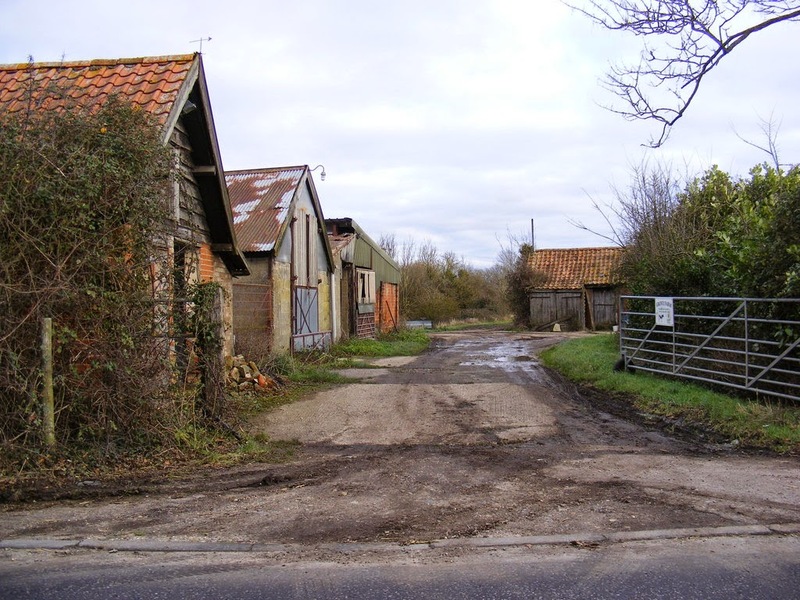 It appears that it is landowners with money to make that are seeking to decide the future of our village and those whose job it is to keep an eye on plans like this are acting in cahoots with them. I'm not actually opposed to some form of development at Grove Farm and certainly welcome the idea of more affordable housing but the whole premise of neighbourhood planning is that local people get a say in development rather than it being "done to us" by landowners, developers and sadly our own councillors. So what should we be doing? We could start a land bidding process and invite landowners all over the village to put forward parcels of land for development. A sensible criteria that clearly shows no favouritism to any particular landowners could be written and bids assessed by this. In fact this was done a few years back and if we do need 50 odd houses there are several locations they could be built on. We shouldn't just grab the first plan on the table or listen to the sub-text that it is "this or nothing" or the suggestion that "if you want affordable homes this is the price you have to pay". We should start by thinking what kind of a village we want to live and work in. Look at what services and infrastructure would be needed and then invite bids. As for Grove Farm we should politely ask the developers to come back when the plan is ready. If they don't want to we should regrettably oppose the plan. The land isn't going anywhere and we should stand firm and say that we welcome development in Stradbroke but in a planned and considered way. As I explain in more detail in the "about" section all posts on here are my personal opinion. They aren't the views of my employer or any group or organisation I am associated with. if you don't like what I say you can comment below or contact me.